View from the balcony at Coral Sands Beach Resort. 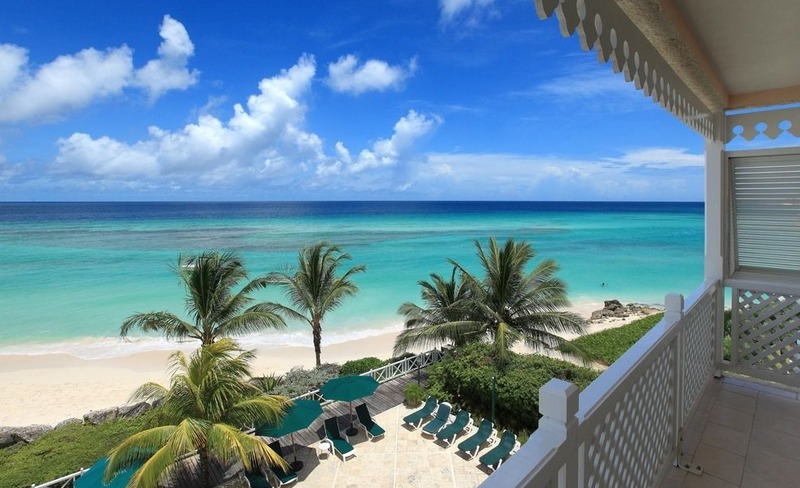 Coral Sands Beach Resort is a collection of beachfront studios on the south coast of Barbados. Set in tropical gardens, the resort features free Wi-Fi access, an outdoor pool, 24-hour reception and free parking. Studios are light and airy, with wicker furniture, air conditioning, and celling fans. Additional features include balconies and patios overlooking the ocean, satellite TV, and kitchenettes with a fridge, microwave and coffee maker. Breakfast is offered in the resort’s restaurant. There is a poolside bar and room service is also available. Visit Coral Sands Beach Resort’s website for more information.